Empower participates in Dubai Women’s College Industry Week. Dubai, UAE, 14 September 2015: Emirates Central Cooling Systems Corporation (Empower), the world’s largest district cooling services provider, takes part in the upcoming Industry Week organised by the Higher Colleges of Technology – Dubai Women’s College from 13 to 17 September to give students a better understanding of what it is like working in district cooling industry. Industry Week will help students plan their future, boost their employability skills, and stand out from the crowd in the competitive UAE job market. From 9 am to 3 pm all week long, Empower will showcase world-class advancements in this industry, as well as district cooling operations in various real-estate projects around Dubai. “We are confident that our team at the Industry Week will have fruitful interaction with talented senior students in their 3rdand 4th year of study, who might be interested to launch a career in this industry,” said Bin Shafar. “Empower’s core business is to provide district cooling services. The significant increase of awareness about the benefits of this industry has resulted in a rise in the demand for our services, consequently, the continuity of staffing,” added Bin Shafar. “As a unique industry, there are tremendous opportunities for developing a wide range of sophisticated competencies; especially in the technical, customer service, and project management fields, which means secure career progression,” continued Bin Shafar. “The bottom line is that working for Empower is, in more than one way, a chance to secure an excellent career development, and contribute to the development of the UAE,” added Bin Shafar. The structure of Empower comprises nine departments which are: Sales & Marketing Department, Commercial Department, Project Management Office, Operations & Maintenance Department, Technical Department, Finance & IT / SCADA Department, Business Support Services, Corporate Strategy, and Human Capital Department. In its endeavor to bridge the gaps between employees’ performance and Empower’s standards; the company exposes its employees, based on the actual needs to different types of training programmes. “On the job” training is normally offered while conducting day-to-day work, and “off the job” training is offered either locally or overseas. Group in-house courses are also provided as and when required. Empower also encourages its employees to attend conferences and seminars with the objective of allowing them to keep abreast with the latest developments in business and industry. As soon as the employee officially joins Empower, he will undergo a comprehensive Introduction Program which aims at introducing him to the people and understand Empower’s activities, and its scope of operations. He will then be expected to submit a report to understand the level of his understanding. Industry Week will be open to the whole Dubai Women’s College Community, including students, faculty, and staff members. It will help students gain current information on key industry trends; explore a range of career paths in line with the student’s programme/major, and work placement options; network with prospective employers, and practice essential professional skills; recognize key players in the UAE labor market of around 70+ employers throughout Industry Week; develop relationships with employers, which could lead to student internships; and engage with employers to complete -course work- Industry Projects. “Interaction between students and industry experts interaction will create a memorable industry week, designed to inspire and develop the students’ career aspirations. We invite all students to join Empower to achieve their personal growth, secure excellent career progression, and contribute to the UAE’s development,” said Bin Shafar. “It is not the first time Empower is engaging in such social events. We have recently organised a training programme in which many UAE students were familiarised with skills needed in District Cooling industry,” concluded Bin Shafar. Empower operates more than 1 Million Refrigeration Tons (RT), providing environmentally friendly district cooling services to large-scale real estate developments, such as Jumeirah Group, Business Bay, Jumeirah Beach Residence, Dubai International Financial Centre, Palm Jumeirah, Jumeirah Lake Towers, Ibn Battuta Mall, Discovery Gardens, Dubai Healthcare City, Dubai World Trade Centre Residences and Dubai Design District, amongst others. Maktoum Bin Mohammed Al Maktoum Initiatives for Legal Excellence honors outstanding law students. UAE, May 4, 2015 – Dubai Courts recently honoured the winners of the 4th Maktoum Bin Mohammed Al Maktoum Moot Court Competition held under the patronage of H.H. Sheikh Maktoum Bin Mohammed Bin Rashid Al Maktoum, Deputy Ruler of Dubai and Chairman of the Dubai Judicial Council, with the theme ‘Personal Status Case.’ The recognition took place during the concluding ceremony of the first-of-its-kind Maktoum Bin Mohammed Bin Maktoum Initiatives for Legal Excellence, an initiative that encourages leadership and excellence within the UAE’s and the region’s legal and judicial systems. H.E. Expert Tarish Eid Al Mansouri, Director General, Dubai Courts, said the successful hosting of the Moot Court Competition over the past few years has made a positive impact on the ongoing efforts to boost investments in the national law system and judicial competencies. He also cited the numerous accomplishments of the Initiatives attained mainly due to the unparalleled support of H.H. Sheikh Maktoum Bin Mohammed. The Initiatives aim to build a highly-skilled generation capable of promoting the values of justice and consolidating the rule of law in line with the vision and directives of H.H. Sheikh Mohammed Bin Rashid Al Maktoum, UAE Vice President and Prime Minister and Ruler of Dubai. Al Mansouri said the 4th edition of this year’s competition saw a big turnout, with 11 teams from leading law universities and colleges in the UAE and the rest of the GCC actively participating in the contest. The overwhelming response reflects the strong trust and confidence of the local and regional legal communities in the Initiatives, which strive to establish a culture of excellence, creativity and leadership within regional legal and judicial systems to complement economic progress and development. “The Maktoum Bin Mohammed Al Maktoum Moot Court Competition has been playing an effective role in facilitating open dialogues between judicial authorities and law universities in the UAE and the rest of the GCC states. It drives excellence within the judicial and legal systems by helping further improve competencies. One of the competition’s key components is adopting a theoretical and practical approach to develop the participants’ personal and professional skills. Specifically, we aim to improve their competencies in persuasion, analysis, research and derivation through a series of written and oral pleadings involving real and moot court cases. The participants are also given a chance to take part in interactive sessions with high-profile judges. 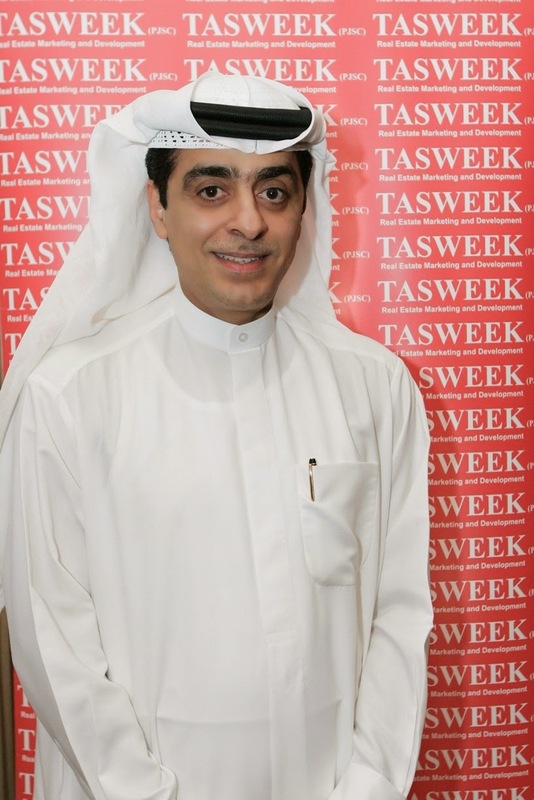 Such a challenge will improve our law students’ competitiveness and leadership skills,” Al Mansouri added. This year’s winners were honored after the final round which also saw the contenders competing in virtual oral pleadings, similar to real trials, in front of a judicial arbitration panel from Dubai Courts. Team Imam Malik College for Sharia & Law was awarded the Overall Excellence Award followed by Université Saint Joseph Law School and United Arab Emirates University; whereas, Team Université Saint Joseph Law School won the Best Team in Written Submissions Award; and Team United Arab Emirates University bagged the Best Team in Oral Hearing Award. Student Khalifa Ahli received the Most Distinctive Male Student Award, while student Mariam Abd El Salam was given the Most Distinctive Female Student Award. A total of 11 teams joined the competition’s 4th edition, nine of which represented leading law universities and colleges in the UAE. The local participants included Imam Malik College for Islamic Shariah and Law, University of Sharjah, United Arab Emirates University, Police Academy, American University in the Emirates, Emirates Canadian University, University of Jazeera, Université Saint Joseph Law School, and City University College. Some of the participating teams from other GCC states were University of Bahrain from Bahrain and Dar Al-Hekma College from Saudi Arabia. A part of the Maktoum Bin Mohammed Bin Maktoum Initiatives for Legal Excellence, the Maktoum Bin Mohammed Al Maktoum Moot Court Competition is an academic contest aimed at building a well-experienced generation of law students capable of consolidating the principles of justice within the community. Targeting students from top law universities and colleges in the UAE and GCC countries, the competition comprises two phases. The first phase includes the preparation of written memos on the basis of facts and presumptions, while phase two includes the delivery of oral pleadings in front of a judicial arbitration panel from Dubai Courts. Autodesk University Extension Dubai 2014 receives overwhelming industry response. saw the participation of customers, partners, students, creative evangelists, design and engineering professionals and educators from the Architecture, Engineering, Construction, Manufacturing Media and Entertainment industries. Omnix International reported a 20 per cent increase in exhibitors. The third edition of the event was supported by top IT brands like Lenovo (Platinum), HP (Gold), Canon (Gold), Dell, NVIDIA, and AGA CAD (Silver). The event served as a strategic and unique platform for participants to ‘Learn, Connect, Explore’ through activities that included interactive workshops, demonstrations, knowledge sessions and an exhibition. This year, AUx Dubai simultaneously hosted a separate ‘BIM Leadership Forum’ that also drew large attendance from leading architectural firms and consultants. The daylong event saw presentations and lectures coming from leading technical specialists and Autodesk customer conducted sessions around on Autodesk technologies and demonstrated novel applications of design technology. Notable speakers present were Lynn Allen, Technical Evangelist, Autodesk; Robert Green, Owner, Robert Green Consulting; Gerry McFadden, BIM Manager, WSP Group and Alex Horst, Product Specialist, Autodesk. In addition to these engaging talks and presentations, over 30 students and professionals from design and engineering received free certifications for the latest versions of Autodesk software like in Autodesk® Revit® Architecture, Autodesk® AutoCAD Civil 3D®, AutoCAD®, Autodesk® 3ds Max®, Autodesk® Inventor® Professional. The event also hosted a special student competition under the theme, ‘Smart Infrastructure – Future of Making Cities.’ The final shortlisted teams were from SAE Institute and University of Sharjah, with the team from SAE Institute wining the competition. “The innovative work showcased by customers at AUx Dubai shows how design has evolved globally– both in depth and in scale across various industry segments. We were also part of AU Las Vegas and we believe such an event is very important for us in the Middle East. We transform the insights of cutting edge BIM users into powerful tools that all clients can acquire. We are showcasing add-on solutions for Engineers, Designers and architects from the AEC industry. This year’s edition has helped us meet our target market from the AEC industry in the Middle East,” concluded Jokubas Vaisvila, BIM Application Engineer, AGA CAD Ltd, TOOLS 4 BIM Developer. [UAE, September 15, 2014] – H.E. Sultan Saeed Al Mansoori, UAE Minster of Economy inaugurated today (Monday, September 15, 2014) the first-ever Smart Living City Dubai 2014, the Dubai edition of the biannual event that focuses on highly successful local and international ‘smart’ startups, at the Jumeirah Emirates Tower in Dubai. The ribbon-cutting ceremony was attended by Masood Al Awar, CEO, TASWEEK Real Estate Marketing and Development; Kamran Saddique, CEO, Inside Investor; and several dignitaries, senior representatives from Dubai Government, and officials from leading global technology corporations. Inaugural Smart Living City Dubai 2014 to kick start next week. Biannual event to bring together key players from startups, foundations, Educational institutions, researches and cities for the first time. [UAE, September 09, 2014] – Smart Living City Dubai 2014, the inaugural edition of the biannual event that focuses on highly successful local and international Smart startups, will take place next week from September 15-16, 2014, at Jumeirah Emirates Tower, Dubai. To be held under the patronage of H.H. Sheikh Hamdan Bin Mohammed Bin Rashid Al Maktoum, Crown Prince of Dubai and Chairman of Dubai Executive Council, the event is organized by TASWEEK and Inside Investor. Smart Living City Dubai 2014 will be held under three broad themes, namely, high-level discussion panels, exhibition of local and international Smart solutions, and master classes for participants. H.E. Sultan Bin Saeed Al Mansouri, UAE Minister of Economy will deliver the opening remarks while the welcome speeches will be given by Masood Al Awar, CEO, TASWEEK Real Estate Marketing and Development and Kamran Saddique, President and CEO, The City Innovate Foundation. With 16 exhibitors and 39 speakers from all across the world, the event will offer high-level networking opportunities to global investors, corporations, foundations, researches and cities with senior representatives from the Government of Dubai. “Makook Smart Living looks forward to its participation at the first ever edition of Smart Living City Dubai 2014. We strongly support Dubai’s vision of a Smart City which will further enhance the quality of life of its people. We are looking forward to being able to interact with stakeholders from Internet of Things space, including government departments and commercial entities with an aim to form strategic business-to-business alliances to further accelerate Dubai’s transition to a Smart City. We are confident that our presence at the exhibition will prove immensely beneficial for us and generate positive interest for our solutions for a connected living,” concluded Nasri Tehini, CEO, Makook Smart Living. 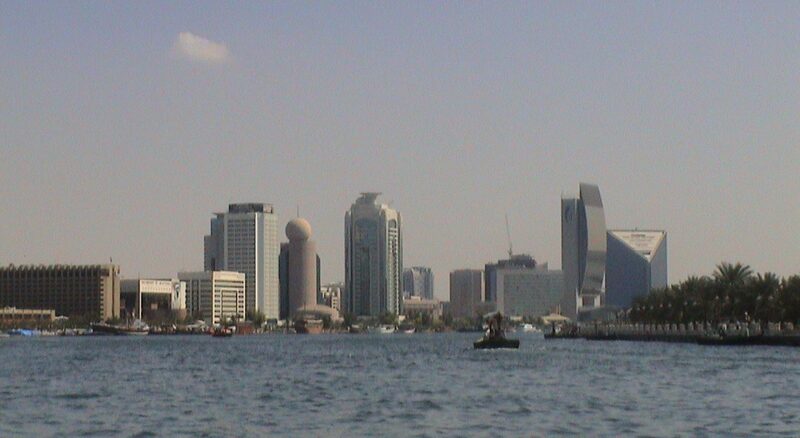 Some of the leading public and private organizations participating in Smart Living City Dubai 2014 include the Government of Dubai, Stanford University, Massachusetts Institute of Technology (MIT), Microsoft, Terreform ONE and HBMSU. Other key speakers at this high profile event include Amr Salem, MD, Smart Cities & Internet of Things, Cisco Systems; Ashish Cowlagi, Smart Cities Business Leader, IBM; Marwan Bin Haider, Executive Director, Dubai Smart Government; Yousif Almutawa, CIO at DP World.